Standout episode – Episode 3 Crazy Mother Trucker. They are quite scathing to the police in this episode which is totally valid. For example, it took 2 years for them to get out the info that there was a serial killer on the highway in Indiana. After that was announced people in other states started seeing patterns in different killings in their states as well. The girls are outraged by how messed up the police are and how messy the case is. There is plenty of evidence against a man named Larry Euler but they just couldn’t seem to get it to stick. They knew it was him but he still continued to kill. Finally they managed to get a conviction on one of the murders. He goes to jail for life. Families of suspected other victims beg him to come clean about other victims but he doesn’t. The police don’t help the families at all. On his deathbed he finally confessed to 17 murders. But it is contested whether there were more because he was dumping loads of bodies at a time and probably didn’t remember names and places. It’s easy for truckers to dump bodies, especially in the 70s where there was a boom in truck driving. Police don’t cooperate with each other and so it takes ages to find that there’s even a serial killer in the first place. Then Vicki goes onto her story off of that which is another truck driver serial killer. I don’t want to give too much away because this one is twisty and turney. Worth a listen. Vicki’s story transitions smoothly, I actually thought she was just telling a random story but it was her actual half of the episode. In 2003/2004 FBI started the FBI Initiative that is a map with dots all over it representing dead bodies. They identified hundreds of potential suspects and compiled it into a database and now there’s a database for bodies found on the interstate highway system. It’s used for serial killings. It hasn’t done much so far but it has helped in some cases. The opening and closing music is very interesting. The editing and sound is great, no problems there at all. It feels like listening to your friends talking about crime that they know a lot about and you’re just caught up in all the details. 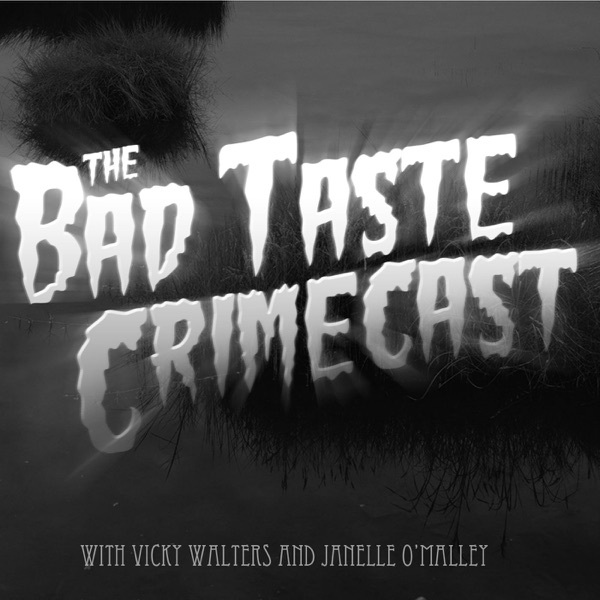 It’s a very good podcast for the true crime buff who enjoys a little humour in their crime.